This weekend I have been reflecting on a number of events and activities that have taken place over the last number of days both at SCS and outside our walls. a local and a World Public Speaking and Debating tournament, at which our girls competed. 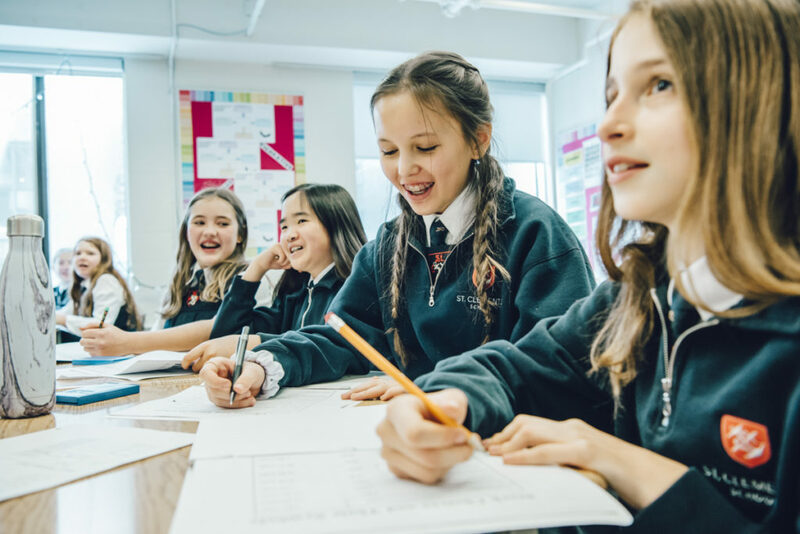 Ensuring the very best learning for our girls is the most important thing we do at St. Clement’s School. Our community—be they staff, students, parents, or alumnae—have chosen our school for this very reason. It is our responsibility to ensure that our girls are learning how to learn, and subsequently being challenged to apply that learning within and across disciplines and, ultimately, in their lives beyond school. In an ever-changing world, the School must be mindful of what skills our girls need to thrive both now and far into their futures. We must ensure that we enable the development of these skills in order that they are prepared for a digitally-driven and dynamic gig economy. Character Education: honesty, self-regulation and responsibility, hard work, perseverance, empathy for contributing to the safety and benefit of others, confidence, personal health and well-being, career and life skills. Citizenship: global knowledge, sensitivity to and respect for other cultures, active involvement in addressing human and environment sustainability. Communication: communicating effectively orally, in writing, and with a variety of digital tools; listening skills. Critical Thinking and Problem Solving: think critically to design and manage projects, solve problems, and make effective decisions using a variety of digital tools and resources. Collaboration: work in teams, learn from and contribute to the learning of others, build social networking skills, and develop empathy in working with diverse others. Creativity and Imagination: economic and social entrepreneurism, consideration and pursuit of novel ideas, and leadership for action. Just as with the events and activities listed at the outset of this piece, these 6 ‘C’s are woven into everything we do at St. Clement’s from Grades 1-12. This is paramount in our school’s continued work as a leader in academic excellence for girls. We are, indeed, ‘C’-ing the future.